This post is in continuation of my previous post Hajj – A Discovery (part 1). Like I mentioned in my previous post, we were blessed to be able to have had performed Al Hajj this year. It was an enlightening experience, to say the least. In reality, it was a road to self-discovery as much as understanding where I could, possibly stand in this huge universe, in terms of my love for my Allah swt. Living in Dubai comes with its own set of ‘tiny’ drawbacks. We tend to become rather self-centered or self-absorbed, as you would, in any fast-paced and diverse metropolitan city. Time is a commodity and we are almost always, utilizing to its best. Grabbing fragmented moments of joy, as you attempt, in futile, to race against the merciless movement of the clock hands. Sometimes, you need to gain momentum in life. You need to stand still and figure out your place, in your own life and that of those close to you. You need to figure out, just how deep is your relationship with the Creator. Where are you heading ? And regardless of how high you fly, you will still need to get a grip with reality, for your final abode is deep within the breasts of mother earth. The days spent in Al Hajj, particularly in Muna (Mina) were an eye-opener. It unveiled me to an unchartered territory of my own behavior and tolerance. Allah swt has blessed the Muslim Ummah with two strong traits namely Sabr (Patience) and Shukr (gratefulness) ~ The Hajj is an excellent time for both of these attributes to be tested ! You are in Ahraam, in that situation, as a guest of Allah swt. What an amazing honor !! And what is it that we do when we visit someone special ? We maintain our dignity and put our best foot forward in every possible way. Years before, we learnt that every action has an equal reaction. You get hurt and you hurt back. But in Hajj, (as it should be in our routine life too), one must maintain his/her dignity and tolerance. One of the most crucial lessons, I learnt is to restrain myself. It is not easy becoz you have just left the protection of your shell, you are out exposed and you want nothing more than to please Allah swt. There will always be people ready to push you in a crowd ~ question remains ~ will you push back ? the introductions seem to take forever, with each one, wanting to discuss, their pregnancy deliveries, their family structure, their photographs, their daily schedule, the stories of their departures from their home country, right up to their experience so far. you realize, people are far more focused towards the meal times than the salaah times. and then their almost NEVER content with the amazing food to be had, in the middle of the desert !!! lack of comfortable and continuous sleep can make you a switched-on walking-talking time bomb !! and yet you keep reminding yourself, the REAL purpose of being here. you realize, there is always one person, who selfishly wishes the lights to remain switched on, so she may read her dua books ~ late into the night !! and some may also be inconsiderate enough to sit right over your head, and read tahajjud salaat in loud-enough voice !! you realize your personal belongings are gradually becoming a thing, for all to “lend” !! and then there are those clashes in debate sessions about the benefits of a joint family, or that children should be educated in convents, or even the recipe discussions !!! endless amount of door knocks, from the spouces for the ladies in the tent ! All this ~ when one can easily relay the message on the mobile phone. for the ladies in perpetual hijab, it is a quiet a trial. Especially when some ignorant spouces tend to drop their necks in, like ostriches trying to communicate with their obliviously relaxing wives. Ofcourse, they were better than some of those, who assumed that we were their appointed pigeons, to relay messages when their wives awoke !!! Women !!!! Shaitaan really has it easy !!! Women make his job pretty convenient. He just has to play the fiddle around a tune of ideas of greed, lust, temptation, anger, selfishness and confusion on women and the lives of all the men, next door is played havoc with in just a matter of minutes. Luckily for me, Allah swt found an exceptional way of keeping me protected from gheebat and unnecessary loose talks. All through it, I had to constantly remind myself, to continue making dhikr. Its difficult to focus on your salaat and your tasbeeh, when so many distractions surround you. The longer and harder, you focus on your dhikr, the more the reward ~ naturally. But its not as simple as that. Gradually, I began to realize, coming from my own tiny world, what a large world existed ~ with people of such varied tastes, needs and aspirations, that Allah swt had to deal with. I realized from some of the stories, how fortunate we had it in life. I realized I was grateful for a little over a million (if not easily more) blessings that Allah swt had showered me with. I also realized that most Indian/Pak muslims are rather fickle minded. They come up with a ridiculous theory about not eating certain foods coz it may cause a cold !!! Eg, Tomato ketchup, yoghurt etc !!! Yes, I am referring to some rather seemingly ‘educated’ people !! When dealing with a medical ailment, we tend to ‘assume’ “kissi ne kuch karwa diya” as in, ‘some one has cast a spell’, sorcery, witchcraft etc, rather than believing that it was genuinely a case of appendicitis !!!!! We have a tendency to turn to all sorts of QUACKS for so-called ‘treatments’ ~ rather than the conventional route of medical doctors inorder to treat our ailments. Consoling myself, that it was for a mere couple of days and that, it was a test of the sorts from the Almighty himself, was helping. But I pondered over this thought for sometime, was the Almighty actually trying to bring this change in me, to be more tolerant and aware of other people’s habits, nature and characteristics ! Was I being prepared for something higher and deeper ? Was I gaining any momentum in my quest for pleasing Allah ? While I befriended each one of the ladies and bid farewell, after reaching Medina. It occurred to me, that Allah swt enfolds a lesson in each of our tasks. Some of us, tend to commit to these tasks without so much as batting an eyelid, while some of us learn the lesson “WE WANT TO LEARN” while there are still some, who might truly decipher the code as he meant for us to. In any case, I feel, I now find myself more tolerant and aware and slightly more forgiving than I was. I realized that I was self-centered ~ happy to be couped up in a corner with another English speaking broad minded family. It was my initial comfort zone. I realized that we tend to place people into virtual pockets and judge them on those basis. The tabligi-jamaat ladies who spoke fluently in English, much to the amazement of the others. And then there was me, imploring Allah swt to bless me with guidance and tolerance to bear them all ! Gradually I realized that each one of them, was fighting their own battle silently. Many silent prayers were being made ~ many silent tears were being shed and many quiet hopes were raised. For that moment in time, we all were in it together ~ each with his own individual issue, his own complex, insecurity, ordeal, trial, suffering. We were all there together, looking after eachother’s needs, our belongings, our luggage, our food and our chappals (slippers )too !! That feeling of being together, inspite of not having ANYTHING in common except your belief in Allah swt and being at a certain place, performing specific rituals, and making small and big sacrifices just to please the Almighty, is a very unusual but special feeling. We met as strangers and parted as sisters. If that’s not self-discovery ~ what else can be !! May we all discover ‘THAT” amongst the 1 billion muslims in the world today, that one feeling of “brotherhood/sisterhood” is enough to bind us all together, inshallah. Ameen. This year, Allah swt blessed us with the privilege of being his guests in Hajj. Ofcourse, you can view heaps and heaps of sites which will give you details about the entire process of Hajj, what it is, why it is performed, what is it relevance in Islam etc etc. But what I wanted to share with you today, is beyond the basics and rather personal to me .. actually, its purely my own take on what I discovered about myself and how I perceive people and situations. My husband, constantly drilled the word “sabr’ into my brains from the time, we contemplated Hajj in our minds, becoz for me, travel and sabr don’t go hand in hand, if anything, I am totally driven by excitement thru out my travels. I like to be organized and I like to be dealt with professionally. Ofcourse, having performed several umrahs over the years, one aspect of the visit to Saudi Arabia, I am very well aware of, is the total lack of organizational and communication skills at the airport. I braced myself for all the potential goof ups, expected !!! And this journey, I was about to embark upon, was going to expose me to just “HOW” patient and grateful we muslims truly are !! Fast forward to the 3 days in Muna (Mina – The tented city ) where I resided with 11 other ladies in our solid “tented” shelter. I was offered a crash course on exploring the values which are essential to us Asian muslims, namely FOOD. Food is the single most crucial criteria around which, every situation is judged and based ! Here are a few ‘Loose conclusions’ !! We are a greedy lot !! We lack order and discipline !! We love to hoard !! Cleanliness is not Godliness for us !! The Prophet saws asked the Muslim to fill 1/3rd of his stomach with food ~ yet, I realized we have trouble with “interpreting” that instruction. Forming queues for the elaborate buffet was not only an ordeal for some, but they actually preferred to crash into the queue shamelessly, inorder to reach that food !! Those who finally made it to the serving station, scoured thru the heavily laden biryani’s, promptly pulling out as many pieces of meat, they could. What was most annoying was, people hanging around and eating their meal at the buffet area, adding chaos to the confusion !!! We were all muslims, from various regions of the Indian subcontinent and yet, we behaved as though, food is the source of all our comfort !! There were several fridges stacked with soft drinks, and fizzy drinks and water ~ and yet people couldn’t stop complaining about it not being cold enough !!!!! I wonder if any of them ever pondered over the fact that WATER is a luxury in the desert ~ and yet when there was free flowing water available, they did nothing but complained. Another aspect, which I noticed is, that WE ARE HOARDERS !!! Typically true !! Inspite of hundreds of bottles of water and soft drinks, lined in the fridges ~ people had a tendency to hoard bottles to their tents ~ conveniently forgetting that there were plenty of others who would need it. Have we forgotten that a muslim is considerate and wants for his brother what he wants for himself ?? There were 4 to 5 ~ Ice cream refrigerators stacked with Ice creams and for the first two days, I watched in amazement, just how much Ice cream could be eaten by people ???? what really ticked me is the unfortunate habit where people couldn’t even close the fridge tightly, which eventually lead to all the cups melting !!! What a wasteful lot we are !!! I watched as people ate snacks on their beds and without so much as a quick dusting off, sleeping away on the mess alittle later !!! I watched as people dumped their garbage on “closed litter bins” instead of simply popping them open, and shoving it down !! Litter bins were abundantly scattered at every corner. Did the Prophet SAWS say, Cleanliness is half of Deen ? Naturally, I consoled myself, that people from all walks of life, all shades of the sphere were here and it was impossible to expect people to remain “civilized” ~ perhaps that’s when it dawned to me, that long before the western society started bullying the dark skinned man for being uncivilized ~ WE, the muslims were, literally handed the code to an entire civilized form of living, actually on a platter, 1400 years back !! What did we do with this moral code of conduct ? Oh yes, we got our children to memorize it, without understanding it. We read it, without following it. We conveniently adapted alien culture and mixed it with bits of Islam. We wrapped it in a beautifully draped silk and left it to attract dust, right on top of the bookshelf ! We did not ponder over the meanings, we did not inculcate ‘His’ teachings, we did not even ‘try’. Instead, we raise slogans of Takbeer if anyone dared to utter a word of disregard against our beautiful and precious religion. But have we once thought, what our Prophet himself would have thought of us, when we dumped half of our plate with food in the trash bin, pushed people to stand right infront of the buffet and thrown our garbage around on the ground ??? Allah swt blessed you with the honor of being his guest ~ so were your actions, words, nature in accordance to being a guest ?? Would you behave in such a unacceptable manner in HIS presence too ?? Somewhere in all this, my sabr was being challenged a lot and I had to continuously console myself with that beautiful phrase, innallahma sabreen. Sabr is in short supply in Hajj. But it is the only quality that shines on a muslims face. 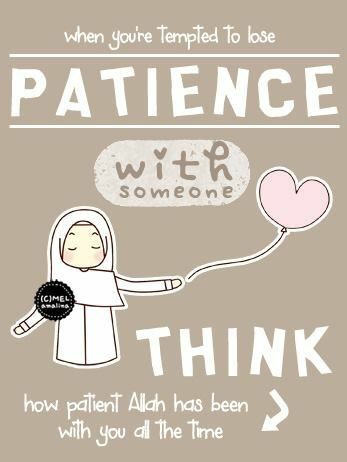 Without sabr, it all boils down to being on a journey and not a pilgrimage. 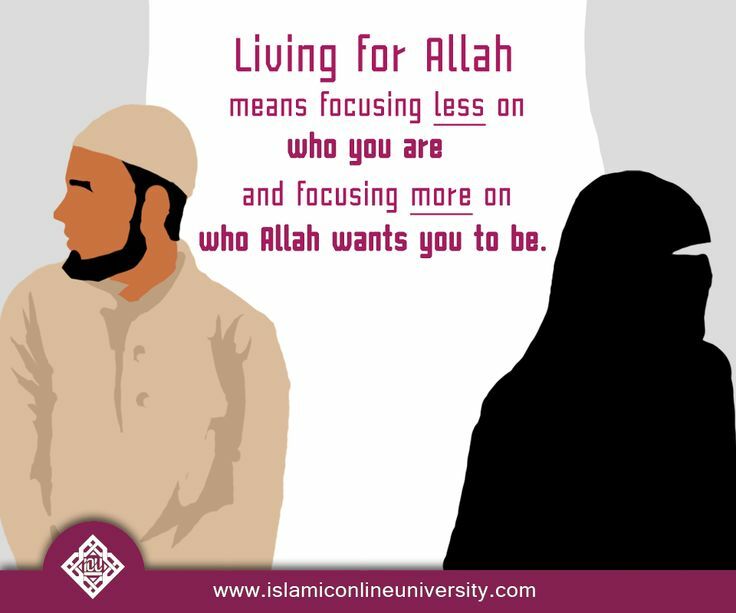 We have a long way to go, for from becoming a better muslim, we will surely become better humans and surely, it is not vice versa. My next post on Hajj ~ the discovery will be next week, inshallah. If you could identify with this post, kindly subscribe to my blog. 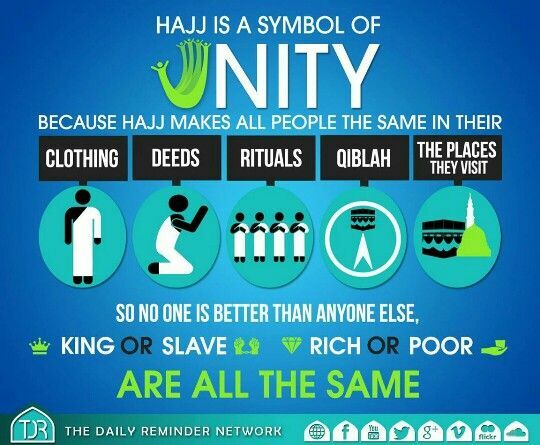 Posted in My Islam	Tagged A real Hajj, Hajj, Hajj 2014, Hajj for muslims, muslim, the meaning of Hajj.